Democrats flock to the polls! 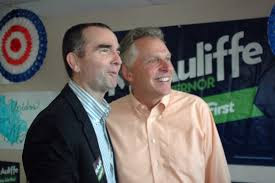 (Photo via commons.wikimedia.org)The Virginia governors race began the stamp of disapproval on Trump and Republicans regardless of affiliation between the two. Republican Ed Gillespie fell to Lieutenant Governor of Virginia #Ralph S Northam on the Democratic ticket. With 89% of votes in, Northam leads 53.4 to 45.3 percent and received CNN's checkmark of approval.